Bennett and FitzGerald have captured the essence of the ‘90s era and added a contemporary twist by mixing the classic rock and roll look of Par Cans with the beam work and vibrant colour palette of high-power moving lights. Forty-eight Philips Vari-Lite VL6000 Beams are rigged on vertical truss facing out, while 53 Philips Vari-Lite VL4000 BeamWash fixtures provide backlight, sidelight and a myriad of bright, bold effects. The lighting package is being supplied by leading international rental operation VER. 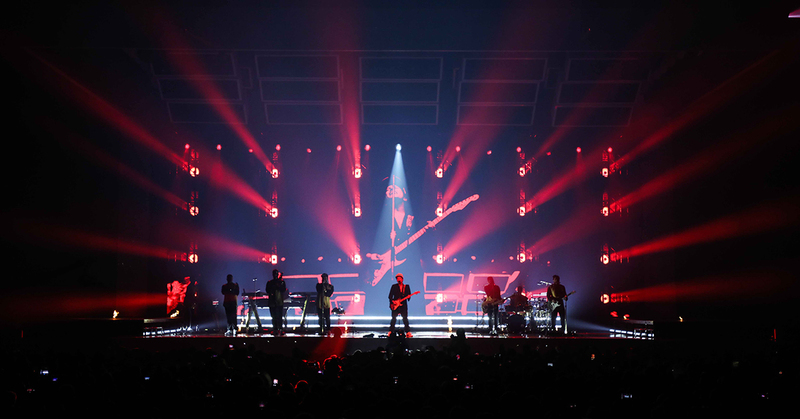 Join Cory FitzGerald, a lighting designer and programmer, at Tuesday May 23, 8 pm CEST, as he discusses designing tours and appearances for Bruno Mars since 2011, and what's in store for the current 24K Magic World Tour. Cory FitzGerald is a Los Angeles-based lighting designer who has designed tours and appearances for Justin Bieber, Bruno Mars, Beyoncé, Gwen Stefani, Janet Jackson, Kanye West, Skrillex, Jennifer Lopez, Thalia, Fitz and the Tantrums, and M83, to name a few. He has also toured with Madonna as lighting programmer and as lighting director with Lady Gaga.